Today, we’re excited to announce that Bigleaf Networks has launched our first international network locations in Europe, making Bigleaf’s Cloud-first SD-WAN available to both European companies and distributed Enterprises with European locations. This expansion marks the beginning of Bigleaf’s global expansion. It’s a massive step in our growth as both an SD-WAN platform and as a company. 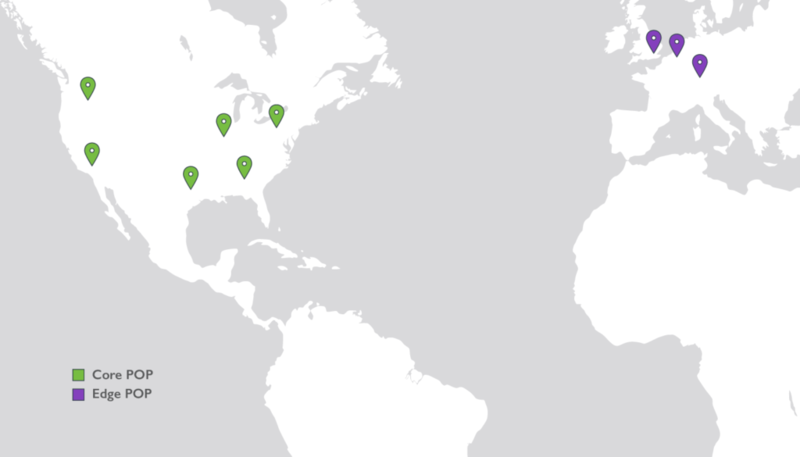 Our move overseas is driven by the same growing SD-WAN demand that we’ve seen in North America. MarketsandMarkets predicts the SD-WAN market will grow to $4.1 billion by 2023. With European businesses embarking on cloud adoption driven by applications like VoIP and Office365, their need for SD-WAN solutions is expanding. To meet this demand, we launched in three major telecom hubs in Europe – London, Amsterdam, and Frankfurt – with plans to expand to other countries including France and Australia later this year. This will enable our partners to provide their global customers with a unified SD-WAN solution. Cloud technologies that initially found their foothold in the U.S. have been quickly gaining adoption in Europe and Asia as companies embark on the now familiar and necessary migration to the cloud. Mid-market European cloud adoption is at the same level as it was in the U.S. three years ago. We see this adoption being driven by applications like UCaaS and Microsoft Office 365. In fact, Gartner predicts that global spending on cloud infrastructure and services will hit $214B in 2019, representing more than 50% of global enterprise software spending. Business who rely on those cloud services will need a way to ensure consistent and reliable internet performance anywhere in the world and SD-WAN will be a critical part of delivering that performance. There’s no way around it, the world is moving to the cloud and companies need the right networking platform to make that move successful. Bigleaf has seen tremendous growth in the U.S. because we anticipated this shift and intentionally built our SD-WAN offering from the ground up for the cloud. The need for our Cloud-first SD-WAN is growing throughout Europe and Asia and these new POPs give us the global reach to bring Bigleaf to more customers through our channel partners. We’re looking forward to working with our partners who have international customers that need a unified SD-WAN solution. For many of our partners, Bigleaf’s push into global markets will allow them to continue selling the solution they’ve come to depend on in North America. If you’d like more information on our international launch, check out today’s press release. If you have any questions about Bigleaf’s unique Cloud-first SD-WAN, or if you’d like to expand Bigleaf into your own region, email us or send a note through our contact page.